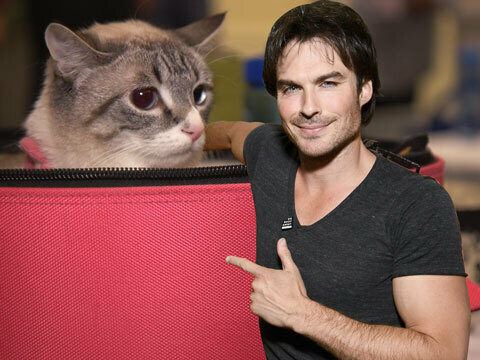 Young Hollywood is feeling frisky at CatCon where we catch up with actor and activist Ian Somerhalder to get the scoop on his foundation's goals of rescuing and finding homes for kitties (and dogs too!) and the importance of the work they do for animals in need! He also teases his upcoming project, Netflix's "V-Wars", which centers around a familiar theme for him -- vampires!